Introduction: in this post I will explain how we can bind Gridview data control using LINQ. I have created a table name APPLICANT_DETAIL. 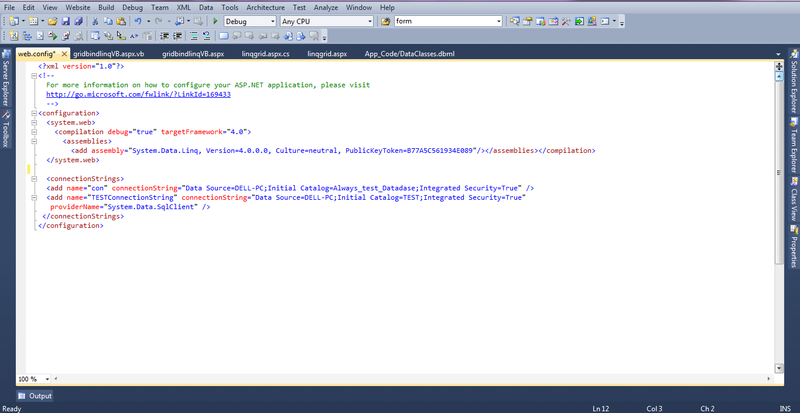 Here APPLICANT_ID is primary key. Add a web form to application. Go to Solution Explorer, right click on website>Add new item> Web from and drag and drop Gridview Data control from Toolbox. After that go to .aspx.cs page. Ø How to Bind, Edit, Update and Delete in Gridview Control inLINQ? Howto Bind Dropdownlist in Asp.net using LINQ?